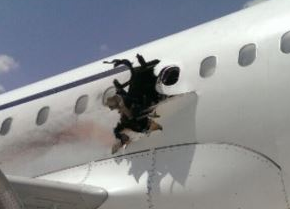 Soon after take-off the A321 was damaged by an explosion resulting in a large hole in the fuselage. One passenger was sucked out and killed. Another three were injured.